What are Campaign URL Builders and why do we use them? Without UTM Parameters you go blind 🙈 without Campaign URL Builders you go crazy 🤪. 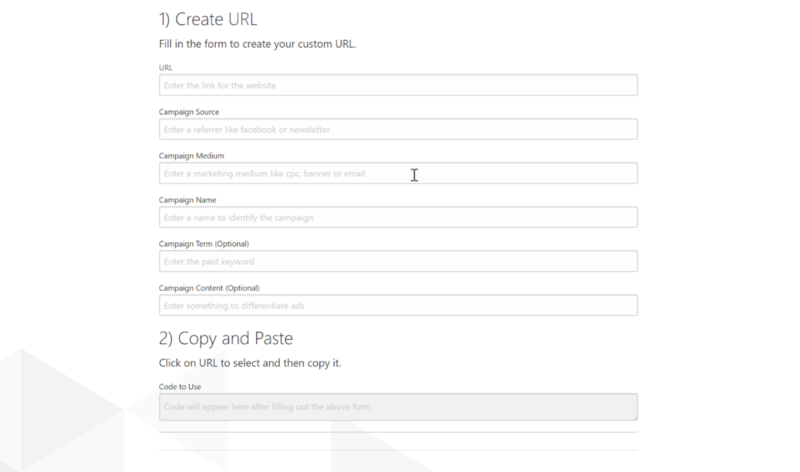 Campaign URL Builders make it easy(ish) to build and apply UTM Parameters to your links across different marketing channels so that you can accurately identify what initiatives are driving users to your website. If you have ever tried to push a digital campaign, then you quickly realize the importance of UTM parameters to understand how your campaign is performing. Now if you ever tried to apply granular UTMs to large ad accounts you can quickly see how creating, implementing and maintaining consistency across each advertising network can quickly become a time consuming and tedious process without a UTM Campaign Builder. Fortunately, there are some useful tools out there to make your life easier. UTM stands for Urchin Traffic Monitor and comes all the way back from the Urchin days before acquired by Google and re-branded as Google Analytics. 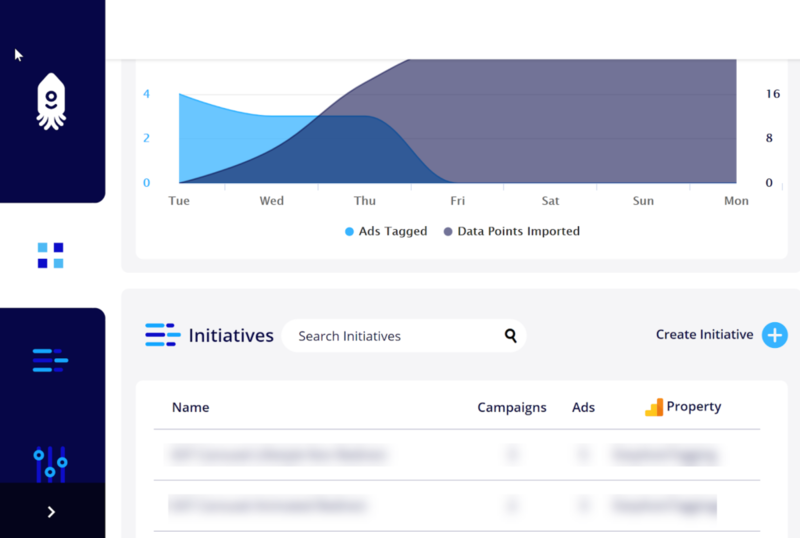 Appending UTMs allows marketers to identify what campaigns, ads, keyword or audiences are most effective within reporting platforms specifically Google Analytics. Note: You can check out Tracking Custom Parameters as Custom Dimensions if you want to track custom parameters such as audience and see these in Google Analytics reporting. You cannot scale tagging your campaigns since you can only create one UTM at a time [also compromising consitency] and you restricted into the default parameter values they provide. Automation/Scaleability – Is it possible to quickly generate UTMs with minimal manual input across many ad campaigns. Customization – The level of flexibility and customization available in using dynamic values and creating custom parameters. Click Tracking – Does the platform provide click tracking stats. I don’t necessarily see the value in having an additional view for click data since the primary objective is to see session/user data and this available within the reporting platform. However, click data can be useful for content curation or sharing third party links. Import Mapping – Does the tool provide an option to import cost data into Google Analytics. Also, can it match UTM Parameter definitions so that the imported cost data blends with session data? Importing cost data and mapping this to session data is a crucial piece to analyze data seamlessly in Google Analytics. The Raven URL Builder is a super simple free UTM Parameter builder and functions similarly to the Google URL Builder. The Raven URL Builder does not have an advantage over the Google URL Builder since both Campaign URL Builders take the same manual approach. 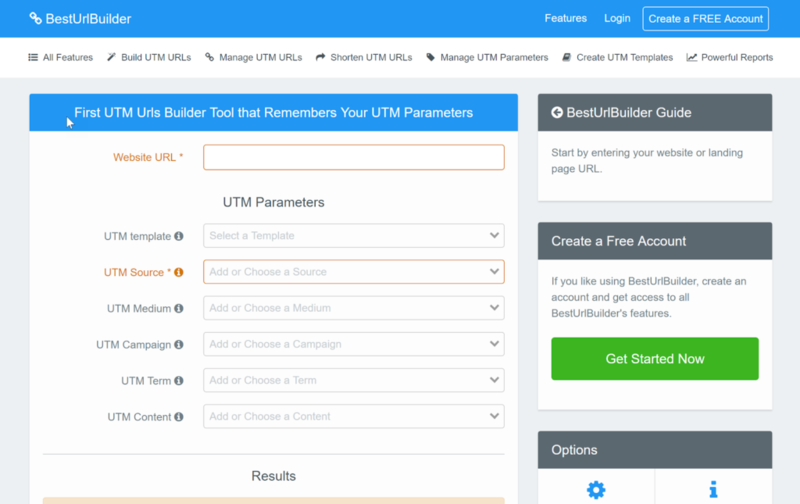 With Best URL Builder you can build and store UTMs. They offer UTM templates so that you can standardize naming conventions and quickly apply consistent UTMs across a team. 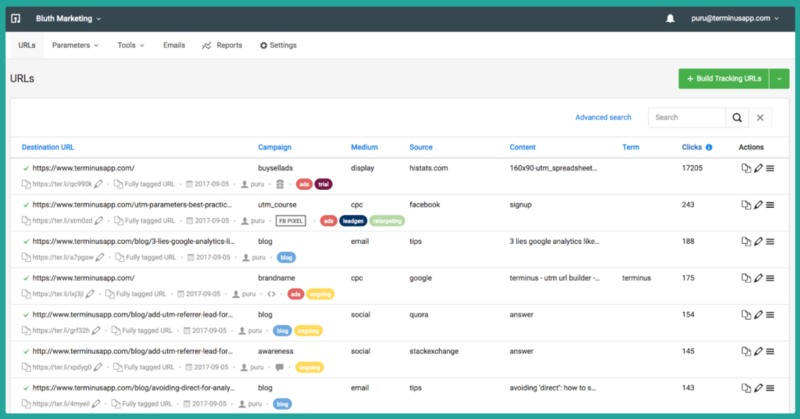 Best URL Builder also offers a reporting feature for tracking click stats within their platform. As mentioned above I don’t know how useful that is for first party links. Typically I add UTMs to identify performance within reporting platforms looking at session/user not click data. What is excellent about Terminus is that it is built to manage UTM consistency across larger accounts in a dynamic manner as opposed to managing these in a messy spreadsheet. If you are managing a large digital media team and want to provide consistency across your campaign initiatives, then this Custom URL Builders might be one of the better Campaign URL Builders for you. Terminus also provides a chrome extension (similar to Effin Amazing) so that you can build UTMs and use presets directly from your browser. There are some similar features between the UTM Builder and Terminus (mentioned above) such as UTM management for consistency and their chrome extension. UTM Builder does have a super intuitive tagging system. Although they only utilize the five standard UTM Parameters, they can dynamically add additional information stitched together for each parameter field in their UTM Link Builder. They also seem to have a decent track record with some prominent brands on board compared to the other Campaign URL Builders. Also, UTM Builder supports parameters for additional reporting platforms such as Adobe or Piwik. UTM.io known for its Effin Amazing chrome extension is a pretty neat tool. They do have the basic UTM Tag builder available here, but that is pretty much the same as the Google URL builder. However, the chrome extension allows you to define presets for consistency across a team. You can automatically save all of your links in a google sheet including notes, and bitly links if your bitly account is connected. All of this can be done right from the extension when you are on any webpage. Note: Some of the features above require the paid version. Note: At the time being EasyAutoTagging is built as a Facebook UTM Builder only while we continue to build out the platform for additional integrations. EasyAutoTagging gives users the ability to define rules using ‘initiatives’ that you can assign to any Facebook account. Within these initiatives, you can create campaign filters, choose to use the native shortener and assign custom parameter definitions. The platform will then automatically detect new ads in your Facebook Account and populate parameters based on your definition. This removes the manual process of creating and pasting UTMs into Facebook for each ad making the UTM process scalable. Easyautotagging also supports adding custom parameters so that you are not restricted to the five default values. UTM consistency can be a nightmare from a management standpoint. This is where UTM Profiles come in to make your life easier. UTM Profiles allow you to define UTM values either dynamically using campaign values or statically entering the text value. Creating profiles ensures consistency across accounts and teams removing the human error factor that occurs with manual Facebook URL Builders. As an optional feature, you can choose to enable Automated data Imports. This will import Facebook Campaign cost, impression and click data into Google Analytics using the same UTM definitions for seamless data blending. In conclusion, building, assigning and reporting with URL Parameters in a fragmented landscape can create moments of [extreme] frustration. However, the use of a URL campaign builder can streamline building and managing a consistent tagging process. What is your favorite tool? Let me know in the comments below.